Toshiba has announced a new addition to its popular Satellite range of laptops, with the flagship 18.4 inch Satellite P500 the first to feature an integrated Blu-ray drive. Toshiba – who backed the Blu-ray rival HD-DVD – only confirmed recently that they would be using the BD technology, but they haven't been slow to react and the p500 is the first laptop to benefit. Available in late October there is no price yet available for the laptop, but it does bring all of the bells and whistles you would expect of a high end machine. 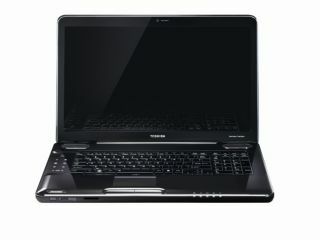 That includes Intel Core 2 Duo processors, up to 4GB of RAM, and up to half a terabyte of storage. The display uses Toshiba's TruBrite technology and the multimedia aspect is boosted by Harmon Kardon speakers, HDMI and REGZA-link.